The students in Sky and River Class have been learning about working with clay during art recently. 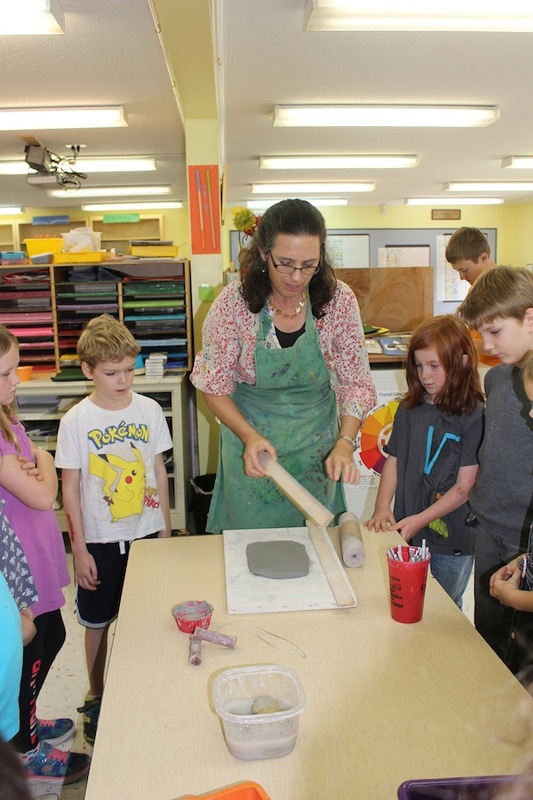 The ceramics center is one center that students can choose to work in when they come to art class. Units of study related to drawing and painting were covered during art classes in September and October and those centers are also open for students to work in. 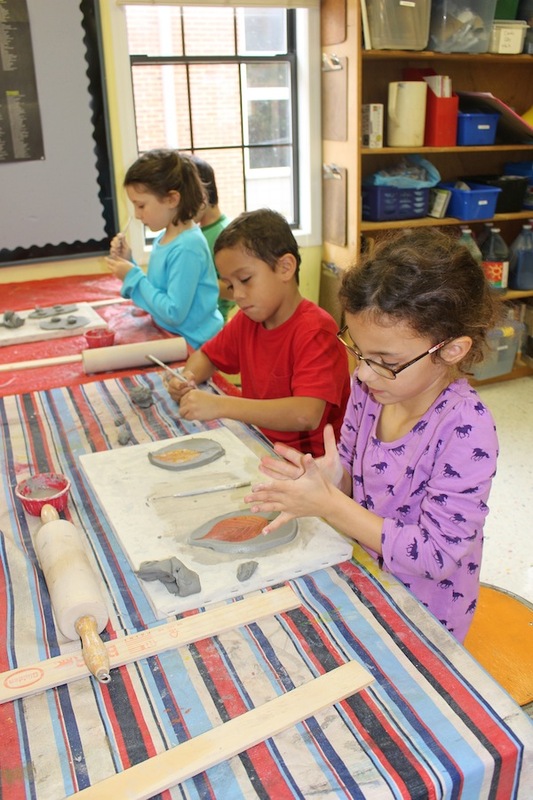 The unit began with a clay project that all students were expected to participate in. They learned how to roll out a slab of clay, use a pin tool safely to cut out a shape from the slab, how to turn it in to a small dish by gently curving up the sides of the dish, and attaching clay feet to the bottom of the dish using the technique of scoring and adding slip. The next week they were taught how to make a pinch pot. Some students choose to make this project, others decided to make something else with their clay, and a few students chose to work in the drawing or the painting center instead. We have been talking about the process clay goes through after something is made. As a clay project dries, it becomes greenware and is very fragile. After being loaded in the kiln and fired, it is called bisqueware. Bisque fired clay is stronger than greenware and won’t break as easily. 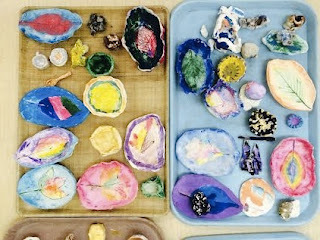 Because there are several times in this process when a clay piece can break, students have to learn not to be attached to their works of art, which is challenging for all of us. Finally, we will stain the clay pieces and they can be brought home (see picture below). Two-dimensional works of art are kept in the student’s portfolios and go home at the end of the school year.